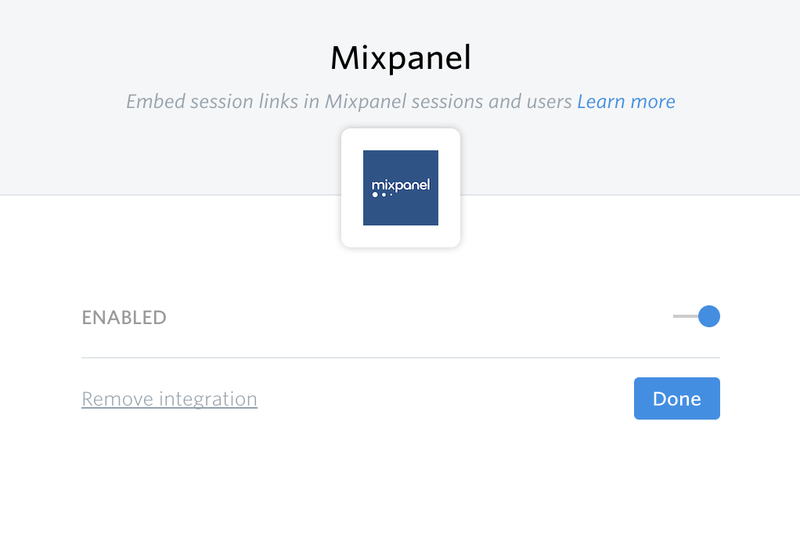 FullStory&apos;s integration with Mixpanel adds a FullStory Session URL to every Mixpanel event as one of the event properties. So, you can easily see what exactly the customer&apos;s experience was when they completed the event you&apos;re tracking in Mixpanel. We also add a link to the most recent FullStory session available for each person in Mixpanel. Confirm the Enable button is toggled on. That&apos;s it. 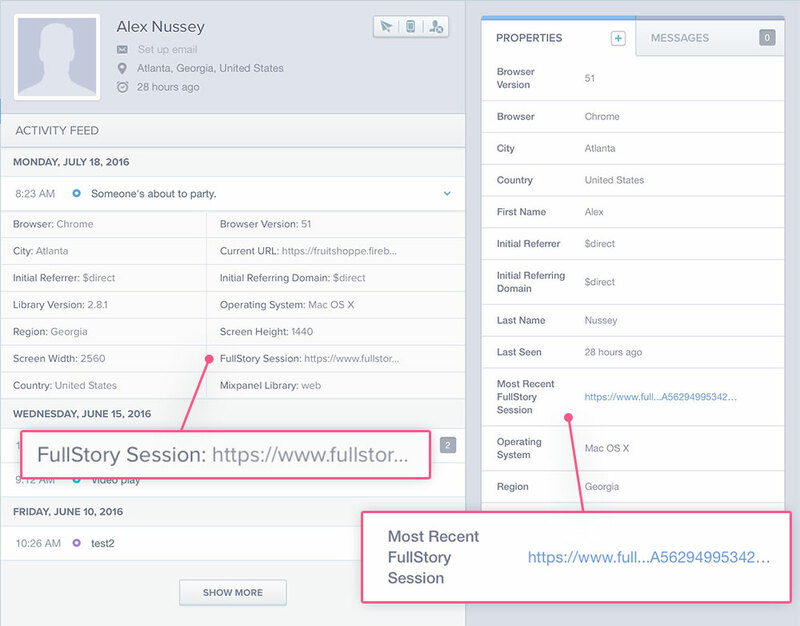 FullStory will now automatically pass sessions URLs into Mixpanel for any event you&apos;re tracking. It may take a bit for FullStory sessions to start populating into your Mixpanel reports. As new FullStory sessions start to match your events, they will begin showing up. 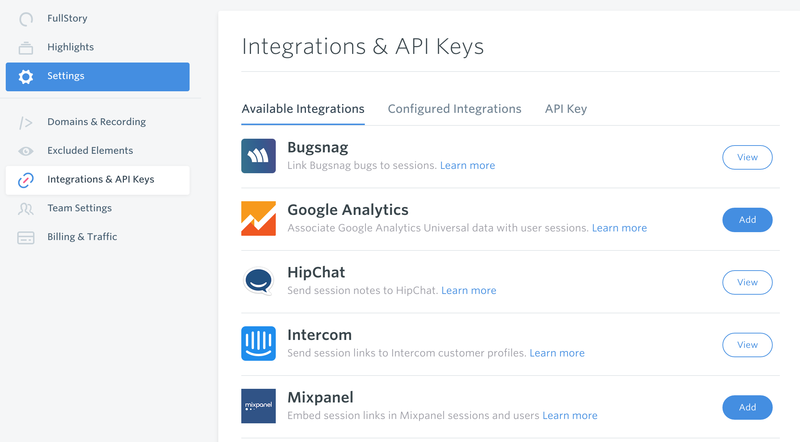 Interested in getting data about events you&apos;re not tracking in Mixpanel? Use FullStory&apos;s event search to get details on who&apos;s doing the event&apos;s you&apos;re interested in, how many people are doing them and, with the click of a play button, what their experience was really like. Check out more information about searching by events here.